A Polish parliamentary investigation into President’s Lech Kaczynski plane crash in Smolensk in 2010 is considering witness protection: A flight engineer set to deliver critical testimony was found hanged in his house in Warsaw. ­The body of Remigiusz Muś, a 42-year-old aviation engineer, was found by his wife in the cellar of their house in the suburbs of the Polish capital at around 11:30pm local time on Saturday. She called an ambulance and attempted to resuscitate her husband, but medics pronounced him dead as soon as they arrived. An autopsy is set for Monday, October 29. As news of Muś’ death hit headlines, the head of the Polish parliamentary commission looking into the crash, Antoni Macierewicz, said that Muś was one of two key witnesses in the case. With Muś dead, key witness Artur Wosztyl should be put in protective custody, Macierewicz said. Dariusz Slepokura, a spokesperson for the Warsaw district prosecutor's office, said on Monday that Muś likely committed suicide. 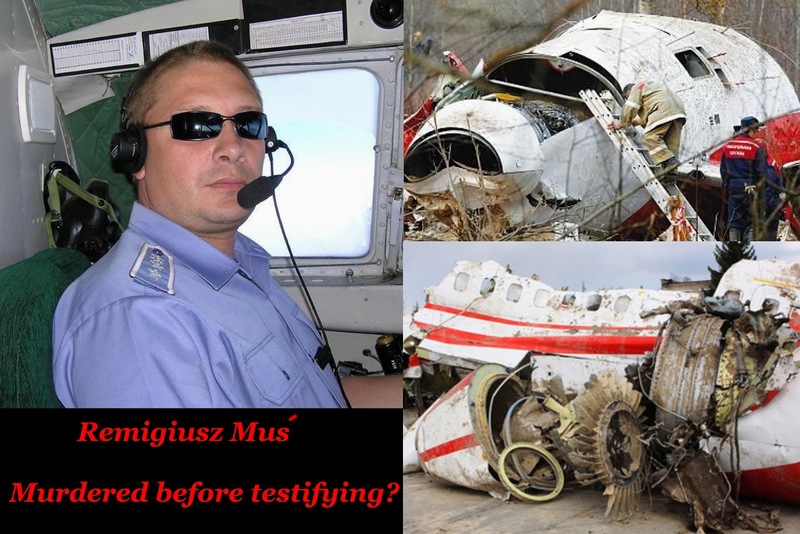 Muś’ suicide has become the second incident of its kind connected to the investigation of the April 10, 2010, plane crash in Smolensk that killed the Polish president and 95 other people aboard. In January 2012, a Polish prosecutor involved in the investigation shot himself for no apparent reason during a media briefing. Prosecutor Mikolaj Przybyl told reporters he needed a break, and ordered them to leave the briefing room. Immediately after they left, Przybyl shot himself. Doctors managed to save his life, as his brain was not damaged by the self-inflicted wound. Muś arrived to Smolensk on a Polish Yak-40 airliner carrying the Polish press pool one hour before the President’s plane crashed. Shortly after the incident, Muś retired from aviation. The catastrophe devastated Polish leadership, as most of the country’s top political, military, financial and religious leaders were on the same flight to Smolensk to commemorate Polish officers imprisoned and brought to the USSR in 1939. The prisoners were later executed in the forests of Katyn, around 14 kilometers west of the city of Smolensk. During the investigation, Muś testified that he witnessed the ground control in Smolensk communicating with the pilots of the president’s airplane. Muś claimed that while he rested in the cabin of the plane, he overheard a Russian air traffic control officer giving the president’s plane permission to descend to a ‘landing decision’ height of 50 meters. Muś said that earlier, the aircraft in which he was flying was given the same permission to descend to 50 meters, despite the dense fog covering the Smolensk region that day. Muś’ testimony contradicted the official version, which said that the traffic controller only allowed the airplane to descend to 100 meters. The official statement prompted a wide-ranging international investigation by the Interstate Aviation Committee, which included experts from Russia, Poland and the US According to the official narrative delivered by the Committee, the crash of Poland’s presidential plane was largely caused by human error and bad weather. The pilots were warned of heavy fog and low visibility at Smolensk military airfield, and were asked to reroute to a different airport. The pilot nevertheless made the decision to land. The investigation by the Interstate Aviation Committee revealed that in addition to the severe weather conditions, the pilots had been subjected to pressure by some of the high-ranking passengers onboard. Transcripts from the plane’s black box revealed the pilots were forced to land as soon as possible. The recording also showed that one oficial entered the cockpit many times throughout the flight, and that the Chief of the Air Force of Poland was present in the cockpit at the time of the crash. USS Enterprise, False Flag Alert!